Shower screens are the alternative to shower cubicle. More luxurious and spacious, an open shower over bath or walk in shower is a core element that determines the style and design of your bathroom. It’s crucial to pick a shower panel that satisfies both your wishes and your needs. And we are here to help you choose! More beautiful and practical than a shower curtain, a shower screen is a splash panel to keep those pesky drips off the floor! Shower screens are commonly used for over bath or Italian style walk in showers. In general, showers with shower doors are fit for large spaces and thanks to a shower screen the room is not divided, thus emphasizing its aesthetics. 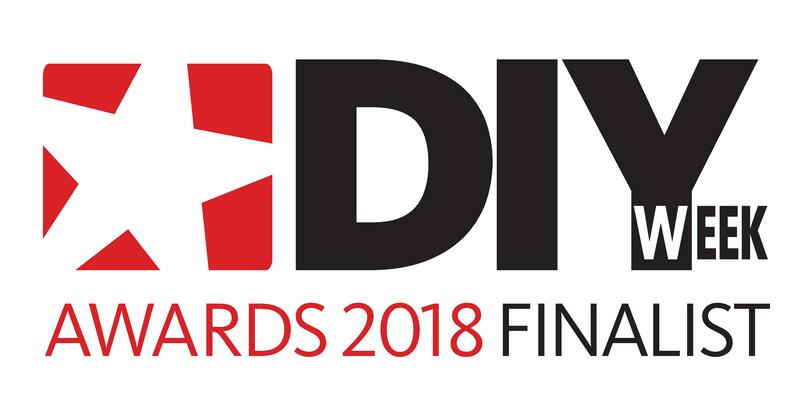 In fact, if you wish to install a shower that is not a shower enclosure with a door, you may want to go for an open walk-in shower that enjoys a comfortable degree of accessibility and therefore your best choice would be a shower with a shower screen. 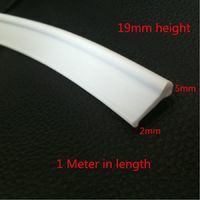 The shape of the shower screen will have to be in accordance with the disposition of your shower. 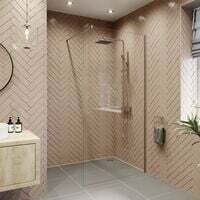 If you have a corner shower, you could opt for an angled door, a semi-circular curved one or even a folding shower door, whereas if your shower is against one single wall you may for instance pick a fixed shower screen that leaves an open entrance. 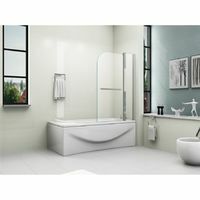 There are two types of shower screen available on the market, namely frosted shower screen or transparent shower screen. The see-through shower screen is available in two main styles varying on the manufacturing material. You may go for a hard glass shower screen, solid, low maintenance and extremely resistant to thermal shocks. Otherwise, you might choose a plastic shower screen, significantly cheaper and lighter, but that will require more care and maintenance. 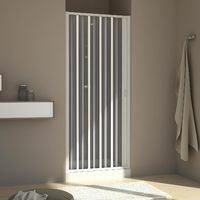 In either case you will be able to choose a completely transparent model, or a frosted or patterned one for a bit more privacy in the shower. A shower wall requires more expertise and time as you will have to build it yourself. It can be built with glass bricks, aerated concrete or even bendable panels. You will therefore have a wider choice in terms of design and aesthetics. Luxurious and elegant; shower screens are available in many colours, offering you a vast choice for your bathroom. High quality, waterproof and anti-limescale shower screens last really well over time.